Texas Democrats are struggling to find a candidate to run against Republican Gov. 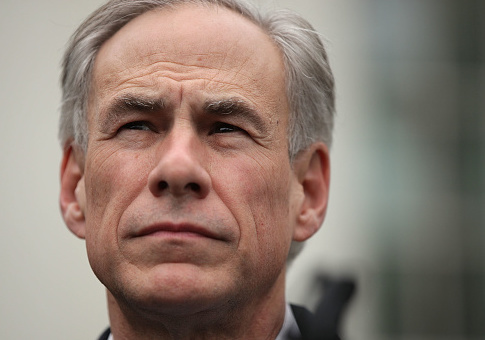 Greg Abbott after losing every gubernatorial race in the state for nearly three decades. For months Democratic leaders have been searching for a high-powered candidate to run against Abbott but have been unable to find a suitable opponent to challenge the incumbent, the Associated Press reported Tuesday. This could spell trouble for the Democratic Party in Texas after losing the governor's race in 2010 and 2014 with two high-profile candidates. Former Houston Mayor and U.S. Energy Department official Bill White lost to then-Texas Gov. and current Secretary of Energy Rick Perry in 2010. Wendy Davis, the former Democratic state senator known for her 12-hour filibuster opposing anti-abortion measures, lost the 2014 election to Abbott by more than 20 points. Davis said it would not be easy for an unknown candidate to win in Texas. "It's going to take some time, obviously, to build up excitement around someone who, at that point in time, might be fairly unknown," Davis told the AP. The last Democratic governor of Texas was Ann Richards, who was elected in 1990. Since Richards, Texas has politically shifted further to the right. The last time a Democrat won a statewide position was in 1994, which makes Texas the state with the longest Democratic losing streak in the nation. University of Houston political science professor Brandon Rottinghaus said that if Democrats do not find a candidate to run, it could be a symbol that the party has "given up" in Texas. Houston attorney and prominent Hillary Clinton fundraiser Arthur Schechter recently tried to recruit an economically conservative and social progressive well-known businessman but was turned down. "I thought we could raise money for him quickly and get him underway," Schechter said. "But he just chuckled at me." U.S. Rep Joaquin Castro (D., Texas ) and his twin brother Julian Castro, a former San Antonio mayor who was President Barack Obama's secretary of housing and urban development, both passed on the chance to run. Abbott has already started his reelection campaign and raised nearly $41 million in campaign cash. This entry was posted in Politics and tagged Democrats, Governor, Texas, Wendy Davis. Bookmark the permalink.